On 17 July 2017, IRIS observed an active region at the solar limb. Many bright eruptions are seen at the bottom of the movie, as large amounts of energy are released during a complex solar flare. 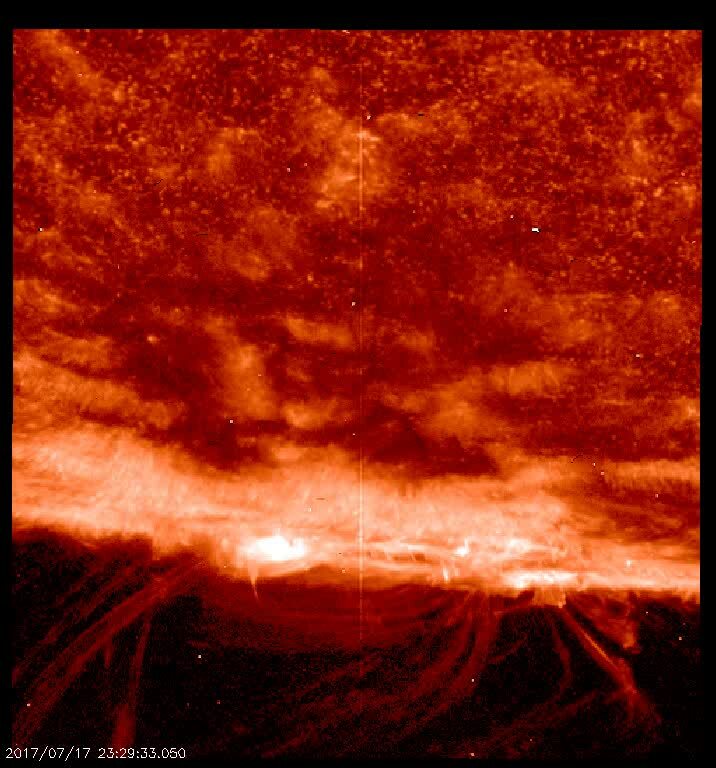 At the same time, beyond the solar limb many loops are seen, mostly made of plasma that is cooling down and falling back into the surface, a phenomenon know as "coronal rain".